I think that what is being prosecuted here so aggressively, by me and my grandson, needs to be aired thoroughly and dispassionately. For any and all of those incidents where Fumbles did the same things as Mugabe AND THOSE THINGS WERE MADE PUBLIC de ole man, and de grandson, did not give him any easement. 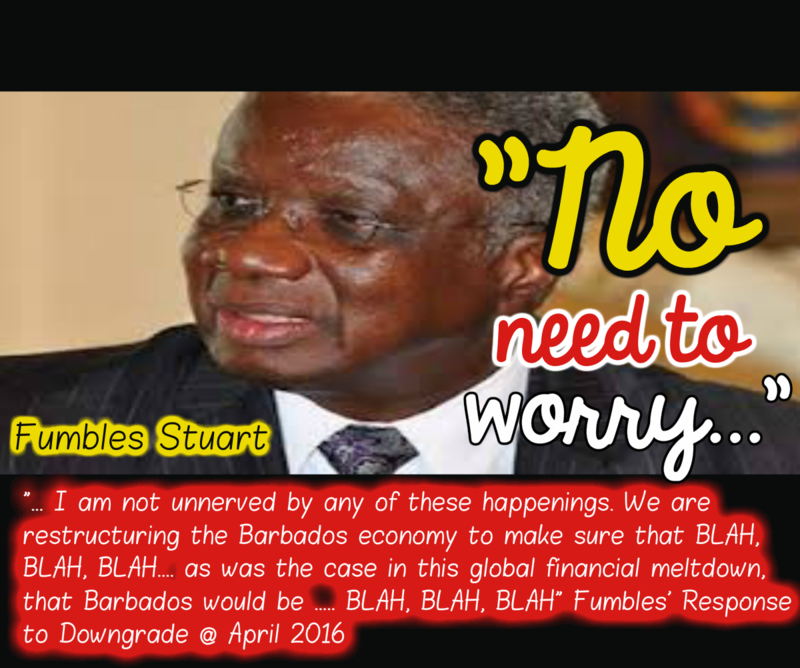 Fumbles, like Mugabe, was the Leader AS WELL AS THE PRIME MINISTER of BARBADOS, not Michael Lashley nor Jerome Walcott therefore, any constructive civil dissent needed to hold these leaders to task. De ole man did not wait until “8 months before the general election in 2018” to launch this campaign of civil dissent. But here is what is even more worrisome about this situation. Fumbles was never purported to be involved in engaging a Commissioner of Police to Tap the Telephones of his Prime Minister. 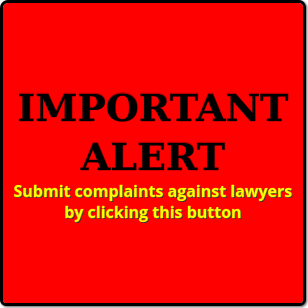 Wunna like to make any civil concerns of Bajans, be they locals or people ovah and away as an attempt to undermine the reputation of de cuntry. It is a “hate campaign” against said PM when you highlight her Constitutional changes to bring back 3 people to the Senate and hire 28 ministers/senators, renege on people’s government bonds WHILE INCREASING WUNNA SALARIES and paying cunsultants from the proceeds of various international NIPs SIMULTANEOUSLY. Dat be reason enuff for you? and effing it ent enough be assured that THE DICTATOR MESSAGES CANT STOP cause Mugabe cannot change her stripes. I FEAR there is NO HOPE for you. If I were a yardfowl I would be the little one. You would be the big dumb one. Once you understand where de ole man and me grandson are coming from ALL OF YOU POOCK LICKERS (for whom my Dearest SSS has bought a few pounds of pooch burger) now need to comprehend the following IMGUR statistics. The first of the “PATROITS ARISE” campaign which was posted 24 hours ago now is at 666 views! 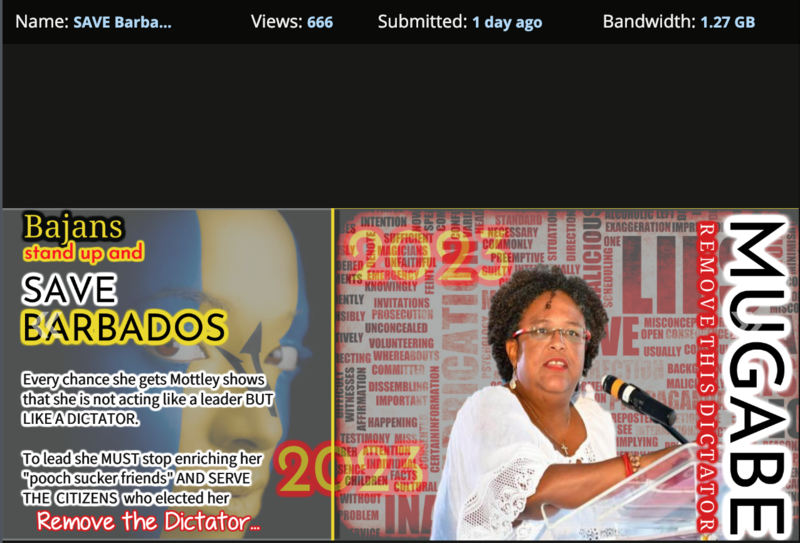 666 which is 3 times the average of a Stoopid Cartoon’s viewership for Barbados Underground which is 200. The Campaign IS NOT BASED ON LIKES its efficacy is determined by views. BAJANS MUST BE EDUCATED ABOUT MUGABE’s actions and their IMPLICATIONS!!! And the most interesting thing about this PATRIOTS ARISE campaign is that EVERYTHING THAT SHE DOES shows the despot at work!! EVERYTHING. Let me explain further how this is going to work though. The very same Democratic Labour Party who wunna coming here and rubbing dem face in their 30 – 0 defeat (a thing that de ole man did not have anything to do with) these people are going to come and copy the link to all of their friends and extended circles with the single agreed objective of displacing the Dictator in 2023. Does it not really incense wunna that a feller can tell wunna de whole strategy behind a programme to MEK WUNNA BE ACCCOUNTABLE TO THE ELECTORATE and to detail what is going to happen IF YOU DO NOT FOLLOW THESE INSTRUCTIONS and wunna cant do one shy$e? I forgot what your point was. I think it was that you were not afraid. Was there another? Is it true what i heard about Hartley Henry getting a big tax waiver from govt on his car. “…First they came for the socialists, and I did not speak out—because I was not a socialist. I am surprised that you believe you can forge some type of alliance with this Mariposa person. Are you stupid? You speak about patriotism. Where in all this person’s submissions you read anything that would suggest she/he/it/or whatever the shite it is, is patriotic to a Barbadian cause. This person is a DLP pooch licker. They are all about the DLP. Her submissions attacking the BLP has nothing to do with representing the interests of the masses but a disgrace DLP who did more to hurt Barbados then it did to uplift it. Mariposa is cut from the same linen as the Lorenzo BLP pooch licker. Bittle is talking! Pooch lickers do not see pass the party they love and support. Commence operation Expose Mottley for the rogue she is. You know the SSS will support the cause because we must stand for something and not fall for the shite these leaders do in the name of democracy.e Mottley is a rogue, and her tactics are clear. You know how much loyalty you can pull when you forgive a slew of business persons and others owing thousands, if not millions, in taxes? Why you think we will never see names published in the name of transparency for these people pardoned. Tactics my good man, tactics. The “tools” dat de ole man does use nowadays are much more advanced than what existed in 2016. When de ole man sends a feller an item to take a gander at, de granson does tell me who went, when dem went, how long dem went for, if dem download de item and all the rest of the actions that DEM IS NOT PREPARED TO EXPOSE HERE ON BU. Mariposa IS AN EFFING LIAR and you must not get fooled into believing that these pronouncements here on the face of BU are what is now attending de ole man’s encounters outside of BU. Remember that “Nicodemus came to Jesus by night” not because Jesus had a night shift at some 24 hour outlet in Bridgetown BUT BECAUSE NICODEMUS FEARED WHO WOULD SEE HIM AND REPORT HIM TO THE AUTHORITIES. There are many here who have made the “outreaches” to de ole man BECAUSE THEY WANT TO ERADICATE THE SCOURGE OF MUGABE. Let me explain the reason behind the EU domain so that you comprehend what is being sought. The GDPR General Data Protection Regulations of the EU provide particular benefits for a website to host “materials” and initiatives. Let me put this differently for you. For example when Stephen Williams post a so called Informational Item that is a video hosted on his facebook page OR THE BLP posts and informational article or Charles Jong posts a GIS item WE DO NOT CLICK IT cause it is the famous ET CALL HOME TRICK. In the next few months Mia is going to ramp up her fight against Social Media Sites and therefore those of us who understand waht she is doing and how she is going to do it HAVE TO MOVE OUTSIDE HER DOMAIN AND THE LAWS OF BARBADOS into a virtual domain that continues the battle. David King has been screaming at us keyboard warriors to UP THE FREAKING VOLUME and while you might be busy, the fact is that there is not much time to do what needs to be done. If SSS says that she is going to host a virtual site in the EU people ent got no problem to come and see and sample your content. Your bonafides are tested by time. And please you do me a disservice to even think that Mariposa would be key for any dissemination strategy in a Battle against the MUGABE REGIME but there are others who are here who UNLIKE HER ARE USING THE CONTENT for their own purposes. 2.this is a fight against a despot and a dictator not against the incompetent Fumbles and Stinkliar. Mugabe wants to be Prime Minister for Life!! Do you understand what that task has to be to introduce the concept of a non BDLP party? Do you discourse with bajans the average man and woman in the street? Can you discuss the complexities of the experience of say a Oluale Kossolo the last documented “slave” on the Atlantic trade ? a free man who was kidnapped? post the abolition of slavery? brought to the US, never repatriated? and juxtapose that stance of the government of the US against that of ICE @ today? Or do you thing that you can discuss the self hatred and scorn the enslaves negroes now emancipated had for the free blac man who, as a free man, late to the recent? colony of the US was speaking the language of his homeland but was laughed at by people who were just a few years out of slavery? but thought his accent funny because he could not speak english? Do you think that you can draw parallels of your current experiences where, as a black woman living in the EU, that you still see that hatred of ourselves and those in the colour of our skin when we walk into institutions and are greeted by longer domiciled but yet coloured imigrants? Does it dawn upon you what this fight is going to be like? Do you comprehend that the enemeny of our enemy is our friend? 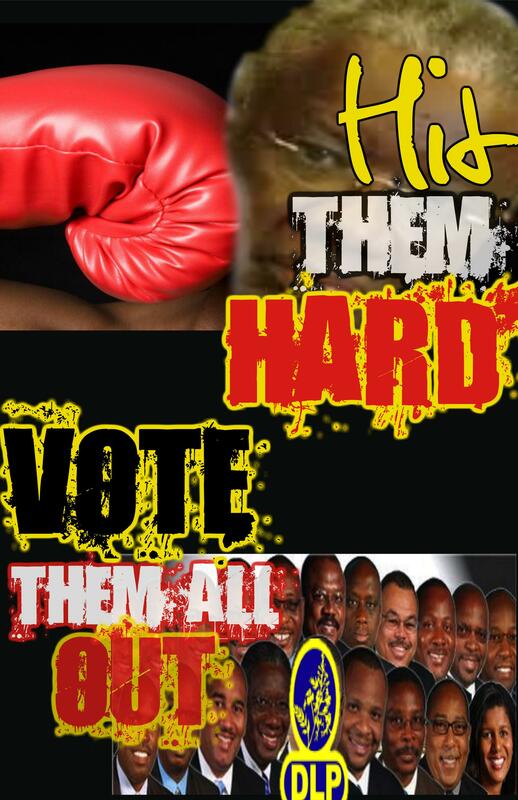 Do you understand the herculean task that faces any social activist seeking to emote change for all bajans? Do you think that Stoopid Cartoons are going to be enough to win over these ingrunt sheeple? Do you recall OUR OWN EXPERIENCE those 3? years ago? do you think that NOW THAT YOU ARE SEEING THE RECALL OF Darnley Dottin that THESE OPTICS BODE GOOD FOR US TO BE QUIBBLING OVER enlisting every single person to help spread the message? I realist that alot of us here are really just keyboard warriors and that your exposure to the requirements of this battle is meagre at best AND NON EXISTENT AT WORST. An intelligent government would BAN racist companies and their owners from the island, set an example that the other islands can emulate…but Barbados has NEVER had an intelligent government.. The Mia government should be checking to find out the circumstances under which Rotherley lost their contract recently….ah bet ya they won’t…they won’t want to approach the lowlife am sure they themselves allowed into Barbados a long time ago. and who may also have some kinda something on them.. I reading you loud and clear. Very Loud and Very Clear – VLVC. Enuff…wuh happen…ya stop talk to me..just so..
How ya like de “new billboards “? Tings like dat which is oval de ole man head you sight? But doan be a stranger. Come back and leh de old man know you opinion. People starting to notice dat wunna does doan back up Ambassador Commie Sing a Song AT NO TIME PUN DE BLOG!!! I mean pun he substantive articles which he does author. WHY IS DAT? I mean after all, Mugabe did pick him for dat CARICOM job over say Ralph Thorne. All wunna stalwart BLP pooch lickers would understandably be vex when Come Sing a Song as Leader of the People’s Empowerment Party ride all bout Barbados, BY HESELF, pun de back of a OPEN BACK BLUE SUZUKI cussing Mia Mottley and Owen Arthur. Now he is Mia CARICOM AMBASSADOR! YOU think BLP stalwarts like that?